Six newly refurbished commuter rail cars are being tested in southeast Michigan, according to the Michigan Department of Transportation (MDOT) and the Southeast Michigan Council of Governments (SEMCOG). The bi-level, stainless steel railcars have been refurbished and will be tested at normal operating speeds as they move from Pontiac to Jackson and back. The cars will eventually be used by the proposed Detroit-to-Ann Arbor and WALLY commuter rail services. Because this is strictly a test of the equipment, the public is not invited to board this train. Amtrak will operate the test train using its locomotive, while Amtrak, Great Lakes Central Railroad, MDOT consultants and the Federal Railroad Administration conduct the testing. 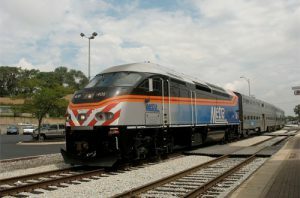 The cars were purchased from northeast Illinois commuter rail system Metra and have been refurbished by Great Lakes Central Railroad in Owosso, Mich. Testing on the corridor between Pontiac and Jackson will begin Tuesday evening and continue early Wednesday morning. Trains will run at normal operating speeds of up to 79 mph. 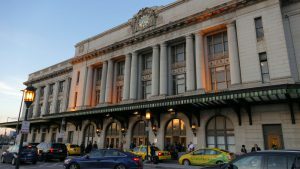 At this time, funding for both commuter rail services is not yet programmed. SEMCOG is working on the Ann Arbor-to-Detroit service and the Ann Arbor Transportation Authority is working on the WALLY service between Washtenaw and Livingston counties. 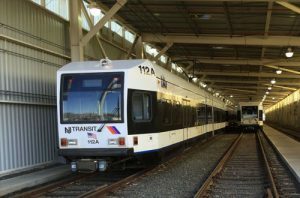 Following successful testing, the commuter rail cars could be used for special events.